June 21, 2015 -- In some news which may come as a Shock to some, we have added a board to the Arena Football League forum here at Sports Coast to Coast. The pun is intended. In addition to the Portland Thunder coverage we began on October 2013, we now have a board for the Spokane Shock. The Shock play in the Pacific Division of the National Conference. Personally, I am enthusiastic about this. I feel the Shock are the Thunder's "friendly" rival. The teams are roughly six hours from one another and even held a joint practice and scrimmage during training camp this season. We would love to fill up the board with Shock fans, as they have a fine history in arena football. Spokane played from 2006 to 2009 in af2, winning the ArenaCup in 2006 and 2009, and winning its division in each of those four years. In 2010, the Shock made the jump to the re-launched Arena Football League, winning ArenaBowl XXIII in 2010. The Shock are the only franchise to win both af2's ArenaCup and the AFL's ArenaBowl. The Shock play their home games at Spokane Veterans Memorial Arena. 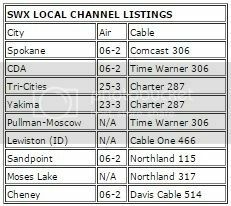 Home games are broadcast in the Spokane area on SWX Sports, and all games are broadcast on the radio on 700ESPN (KHQ-Q6). I also would personally welcome David, who will help us round out the board and let us know more about the history and characteristics of the team. He is a long-time fan of the Shock and I believe he will be a valuable resource as we get to know them. Over the coming days, we will put up more threads about the Shock. For now, you can click to view their schedule. The Shock visit the Thunder tonight at 7 p.m. at Moda Center at the Rose Quarter. The game will be broadcast by ESPN2, as well as on the radio at 750 The Game in the Portland area and 700ESPN in the Spokane area. The game thread may be found here. 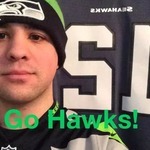 Angi Says is a periodic blog written by the general manager of the Sports Coast to Coast forum. It features topics from the sports which are covered on the forum. welcome Shock fans and David! this is a welcome addition to the forum! Hey guys, thanks for the warm reception! Special thanks to Angi for persuading me to join the site. It'll be nice to have discussions about Northwest AFL teams without somebody on ArenaFan acting like the Prophet of Doom in regards to the future of Spokane and Portland. Anyways, as Angi said, been a fan of the Shock since their inception in the af2 days. Family's been season ticket holders since '08 and haven't jumped ship, so hopefully I can contribute to the site. Pursuaded?! I kind of thought the same. You can have intelligent conversations without it being all doom and gloom about the future of our teams! This is outstanding! For a while now, we've looked to add some other teams to our lineup here. I know Kasey has made offers to fans of the Utah Jazz and Charlotte Hornets. I think adding the Shock is perfect, especially since they are so close to Portland. Great news for the forum. Props to the DiamondThief for making this happen! This is great! Sorry I did not post earlier. This is going to get a whole lot more fun! Welcome! What's going to happen will happen. We can only make our fandom known. I'm working on it! I'm a little late to the party here. Welcome to the forum.